Q: Where do I find my collection schedules? 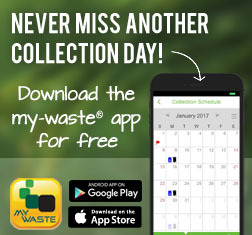 Q: Why is collection done on different days in the same town? Some areas we service are simply too large to collect in a single day, and would require too many trucks in a specific area. We strategically split collection days in certain towns (Goderich, Clinton, St. Marys etc.) and you can find your specific zone and collection day by finding your map. Q: How do I use the Schedule section? We have implemented two separate methods to reach the information you want! The first is a visual map-based navigation where you click on your county, then your municipality to reach the hub for your area. If you do not want to click so much, you can go to the Community List which has each municipality and township clearly listed. Simply click on your location and continue! Q: What if I have a question about my collection schedule? If the schedule section, and help section does not provide you with the answer you need, or you have a unique issue – feel free to contact the Association here. You may phone, e-mail or visit the office in Huron Park. Q: How do I know if my collection is changed? There will be certain holidays, weather issues and other situations that occasionally change the time or date of your collection schedule. We will notify you of each and every change on our website. It can be found on the footer of each page, notifying you of any collection changes. Generally, the front page and special collection status page will also explain any collection changes. Bookmark this page and check it regularly if you want to stay up to date! Q: What happens when my collection date falls on a holiday? For all communities where waste and recycling service is provided or where recycling on a biweekly basis is provided, we normally collect on all holidays except Christmas and New Years Day where an alternate collection day is assigned. Those communities that received recycling collection service only on a weekly basis are normally cancelled on the holiday. The best thing to do is to log onto our main page when the holiday is coming up and we will have an announcement if a collection day is delayed, moved or skipped. Q: Why did my curbside materials not get picked up? There are many reasons why our drivers may have missed your collection. If it is community wide, then perhaps the driver was either delayed or cancelled. You will find cancellations on our collection status page here. Look on the footer of the page for collection status updates. If you were the only household that didn’t get collected, then search the recycling help section for proper set out. There is a chance the driver did not see your materials, especially in winter with snow banks. Click here for proper snow bank placement. If some specific materials were left in your recycling bin, then check our recycling guide here. It may not be recyclable. The same goes for garbage that was left on your curb. It may have been hazardous or too bulky for curbside pickup. Finally, the driver may have made a mistake as well, and we apologize for the situation. Feel free to contact us for further explanation.